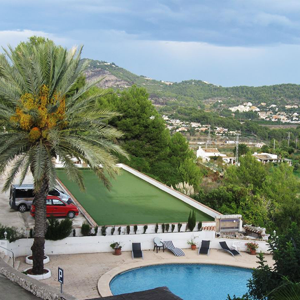 Located on an exclusive estate in the tranquil hills above Calpe, The Colina Club is a well established facility that provides the perfect location to get away from it all. Enjoy the magnificent views of the blue Mediterranean Sea and the famed nature reserve of the Penon de Ifach, while overlooking the countryside and farming communities below. Many of the residents appreciate the boutique nature of the resort since it is limited to 48 one and two bedroom Independent Living Apartments and a fully licensed Nursing and Rest Home that accommodates 20 private en-suite rooms. The Colina Club is so much more than a collection of retirement apartments, it is about having the security of excellent care and peace of mind in your senior years. The Colina Club was opened in 1991, by Dr Graham Young, who had previously owned care homes in England. In the late 1980's, he had a vision to imitate what was happening in North America with regard to the more northern population looking for a warmer climate in which to retire and Florida became their paradise. 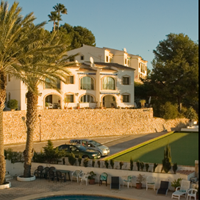 With this experience in mind, he put together a group of multinational investors to build what became the Colina Club, with the express intent of serving the Northern European ex-pat community and thereby providing a comfortable, secure, peaceful and healthy facility in a superb location. We have lived at the Colina Club for over a year our only regret is not coming here sooner. The freedom to enjoy life... The security of excellent care. The apartments provide you with the perfect location in which to continue to enjoy the freedom of your independence with the security of knowing you are not alone because help is always on hand. TO THEM AND TO THEIR FAMILIES. Health and Wellness Surrounded by Nature. 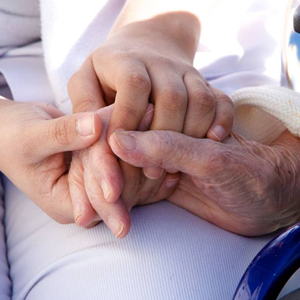 When life becomes too much the Nursing and Rest Home is the perfect next step. Providing all the support for you to enjoy life. Unwind with peace of mind. Enjoy the freedom of a self catering holiday in an apartment. We offer one and two bedroom apartments for short term rentals for you to enjoy a holiday in the relaxing atmosphere of the Colina Club. Enjoy all the benefits of a holiday in the Colina Club with the full support of our staff in the rest home.